You can now use the New Payments Platform (NPP) with CUA Mobile and Online Banking to make fast payments. And when you use a PayID, fast payments are even easier as you don’t need to remember your BSB and account number. Create your PayID today in Online Banking. It’s easy. When you make a payment or someone sends you money, the funds will generally be received in less than a minute between participating financial institutions, 24/7 and 365 days a year. Instead of having to look up your BSB and account number, you can set up a ‘PayID’ for your CUA account using just your mobile number, email address or ABN if you’re a business. When someone needs to pay you, you simply give them your PayID, and if you’re sending money to someone else, you can make the payment to their PayID. What are PayID and Osko? PayID is the simple new way to receive money into your CUA account. 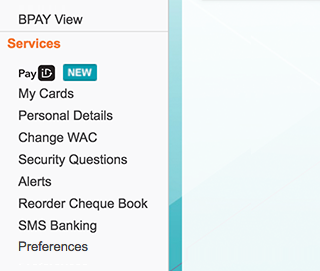 You can use a PayID instead of having to look up your BSB and account number. With CUA, your PayID can be your mobile number, email address or ABN if you’re an Australian business. Since it launched, over 1.6 million Australians have created a PayID for their bank account. 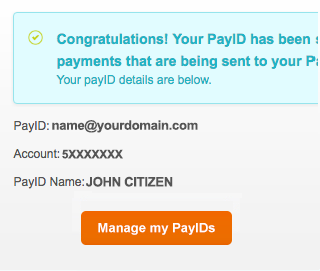 When you’re sending money to someone else’s PayID (or they’re sending money to yours), the name of the person who has registered that PayID is shown before you approve the payment. It means you can be more confident you’re paying the right person. You can set up a PayID linked to your nominated CUA account through CUA Online Banking. Remember, you can have multiple PayIDs linked to your CUA account (your mobile number and email address, for example), but each PayID can only be linked to one account at a time. Osko is the new service from BPAY that allows payments to be made between participating financial institutions at near real-time speed. When you make a fast payment from your CUA account, or someone makes a fast payment to you, it will show up as an Osko payment on the list of transactions for your CUA account. Yes, we’ve now rolled out the NPP fast payments functionality in the CUA Mobile Banking app. Just be sure to download the latest app update to your smartphone, and you’ll be able to transfer money using fast payments. No, it’s completely free for CUA members to register and use. Not at the moment. Initially you’ll only be able to create a PayID using CUA Online Banking. We’ll be working to bring PayID registration through the app as soon as possible. No, a PayID doesn’t replace or eliminate your BSB and account number – you can still use them for receiving payments to your account. PayID is simply a new additional way to identify your account for payments. You can link a single bank account to one or more PayIDs. For example, both holders of a joint account could add their phone number as a PayID for the account. Or an individual could add their mobile number and email address as separate PayIDs for a single account. However, each PayID can only ever be linked to one account at a time. Only the owner of the phone number, email address or ABN will be able to use those details to create a PayID for their own account. 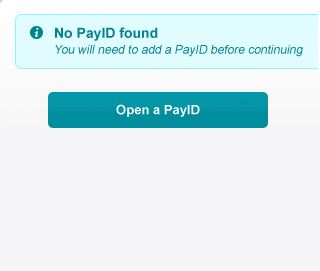 When you’re setting up the PayID in CUA Online Banking, there will be verification steps to prove your identity and that you are the owner of the PayID details. As an extra security measure, a daily transfer limit of $5000 applies for fast payments made through the New Payments Platform. These new services are designed to meet industry security standards. Payments made by CUA members using NPP or PayID will go through the same security and fraud prevention measures as traditional online payments. Removing the need for account numbers and BSBs may reduce the likelihood for errors made by people typing in account details. When you use a PayID to make a payment, the name of the person who owns that PayID will be shown before you approve the payment. It means you can verify that you’re paying the right person. Your PayID can only be used to receive money into your account. It can’t be used to move money from your account. We’re offering members the choice to use either a mobile number or an email address for your PayID (or an ABN for businesses), which is a feature not all financial institutions offer. 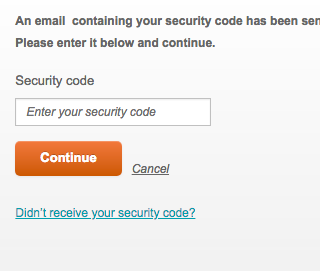 This means if you want to keep your mobile number private, you can register your email address as your PayID instead. In many cases, people already have email addresses that contains part, or all, of their name, so some members may prefer this option. CUA members also have a choice of six options for the display name associated with their PayID (for instance, whether or not to use their first name or surname in full). Of course, members also have an option to continue using their BSB and account number to send and receive faster payments. One of the key benefits of PayID is the built-in payee confirmation step, which enables the person making the payment to see the name of the individual or business that the PayID is registered to, before they confirm the payment. This feature is designed to reduce the number of payments being sent to the wrong person, which benefits both the sender and receiver of the funds. Because NPP allows for almost instant payments between financial institutions, there are industry-wide protections in place to help keep customers' money safe. At CUA, we’re also taking our own measures to protect our members who use NPP. You can read more about this here. However, due to the speed of NPP payments, it may be more difficult for financial institutions, including CUA, to recall or recover fast payments that have been authorised. That’s why it’s important to be vigilant for frauds and scams, and to be satisfied - before you complete the payment - that the individual or company you are paying is known and reputable. There’s lots of extra information available for members on the different ways you can protect yourself and your money from frauds and scams. If the other person’s bank doesn’t offer NPP, unfortunately you won’t be able to make or receive payments to them using NPP or PayID. In this situation the transfer would need to be completed using the existing payment methods available (for example, CUA members can use the 'Pay Anyone' feature in online banking for non-NPP payments). It’s worth noting that initially some other financial institutions are taking a phased approach to rolling out NPP services, so they may not offer it to all of their customers from the start. In the early stages it’s a good idea to check with the other person whether they can receive NPP and PayID payments. You should also double check your transaction list after you’ve made an NPP or PayID payment to ensure that it’s been processed successfully. A group of Australia’s leading financial institutions have joined together to build and govern NPP. They have formed a company called NPP Australia (NPPA) which is responsible for building and overseeing the platform. There’s more info about the NPPA and how this all works in their FAQ. Click here to view full New Payments Platform and Osko NPP Terms.